Like my Friday, Sunday is a pretty lazy occasion. So making this on Saturday night would be simple and would also mean that if we happen to have guests that have stayed the night, they won’t need to starve while I sit around enjoying my Sunday morning cup of freshly ground Mayorga’s coffee. I’ve had a friend stay over two weekends in a row now and she wakes up early and I don’t like eating when i first wake up so poor thing just sits there starving without telling me. But, if I have this “Buttermilk Blueberry Breakfast Cake from alexandra’s kitchen all prepared I can just stick it in the oven while we watch cartoons and she attempts to teach me the art of crocheting. I’m really not very good at it but I like having something to do with my hands and the cross stitching patterns at the craft store were really and truly awful. 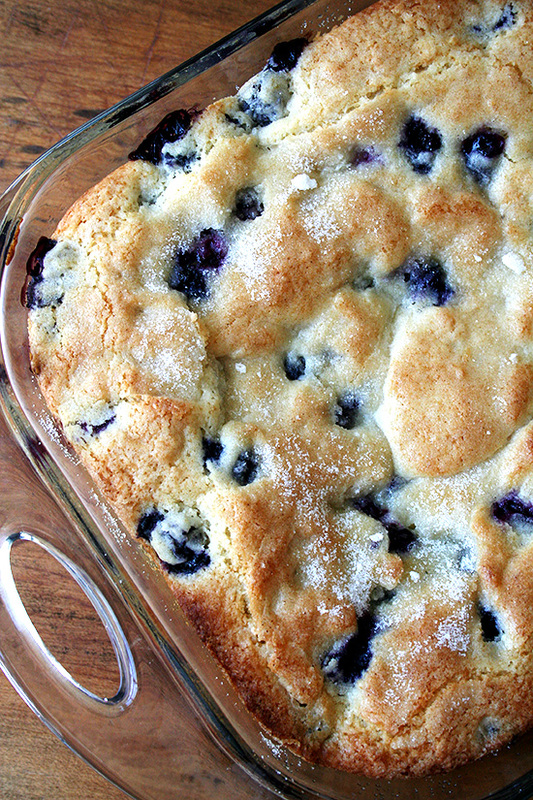 This entry was posted in Recipes and tagged baking, blueberry, breakfast, buttermilk, cake, food, make ahead. Bookmark the permalink.